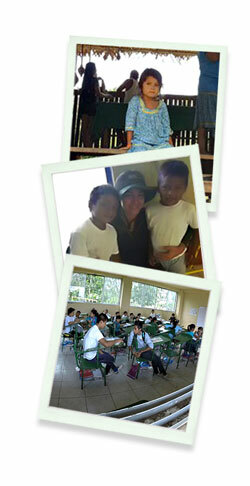 This project benefits the indigenous Amazon Pilchi Community School and the children that attend. The local community acts as a meeting point between all the homes that are spread throughout the Amazon jungle. In order for the children to attend they must walk up to an hour to get to the community center, or take a canoe for about half an hour. These children and their families choose to live as their ancestors did in the jungle but still want to offer a decent education to their families so that they are able to protect and conserve the area.